Our new rubber VIPER is a major step forward for all long pimple players blocking close to the table. Its completely new rubber formula provides very good control so that even fast topspin shots can be handled quite easily. Its pimples are soft and help dampening the speed of the ball. However the main characteristic of this long pimple rubber is the low bounce it produces while blocking. Both passive blocking and chop-blocking provide a disruptive effect that will cause problems to your opponent. This makes VIPER a highly interesting development in the field of long pimple rubbers with friction. All standard attacking techniques with long pimples can be performed quite easily. 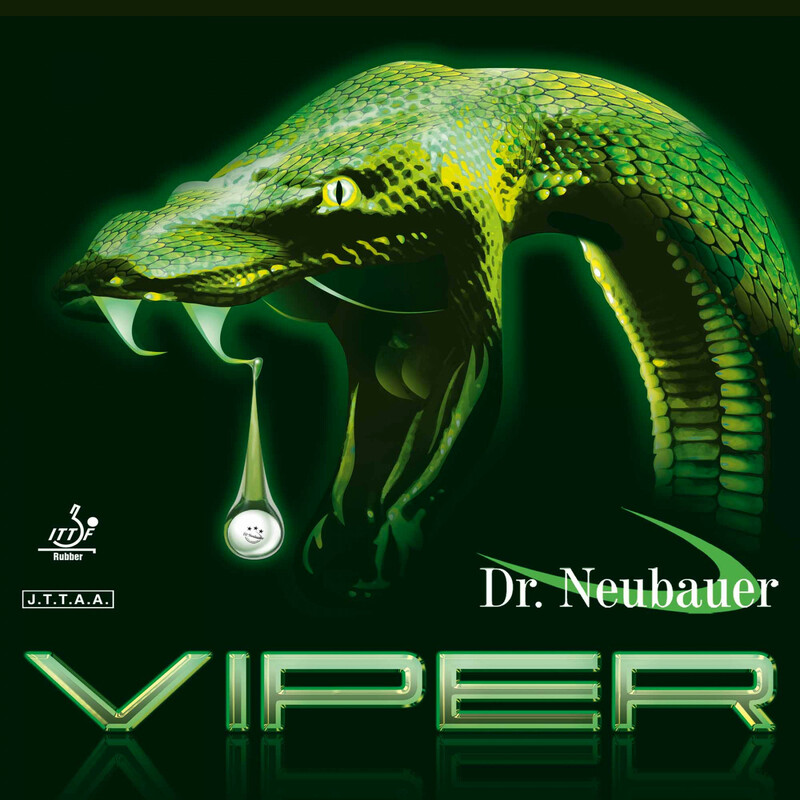 Dr. Neubauer Rubber Viper is beeing added to cart.